the nylon bolts themselves could be contributing to the measured force we are seeing? It has a much smaller volume than the PE and PTFE discs, but they have a much higher dissipation factor than PE or PTFE that could translate into more work done converting E&M momentum into mechanical forces. Hence using ceramic bolts (if their cost can be afforded) could provide a straightforward way to test this possibility. I tried epoxy and superglue bonding the PE and PTFE discs to the frustum end-caps, but these two plastics just happen to be the slickest and hardest plastics to bond to anything else. Drat! And yes I tried to find aluminum oxide or other low-loss dielectric ceramics bolts & nuts in long enough lengths (~2.50") to work in my application with no luck, but I'll admit I didn't look very hard at the time for I had many other things to do. Concerning using an adhesive to adhere the HD PE to the copper,yes, Polyolefin polymers in general are the most common type of hard to bond plastics because of their low surface energy. HD PE is a Polyolefin polymer and hence hard to bond to due to its low surface energy. Adhesion would involve surface preparation techniques as well. Adhesion of copper to HD PE would involve: temperature, humidity, fixture time, chemicals (sometimes carcinogenic ones, particularly for the solvent primer), they can be messy. Most importantly, the adhesion would be permanent and removing the dielectric from the copper base plate would involve damage. strength to increase dramatically. A surface roughness of approximately 60-125 microinches is often used as a guideline for assemblies that are to be bonded with adhesives. Shotblasting of the copper surface is usually needed. This is an insurmountable problem for your extremely thin copper surface: there is practically no thickness of copper on the fiber-reinforced flat end to be able to roughen the copper. Primers are solvent-based systems in which a reactive species is dissolved. Applied to a surface using a brush or spray, the primer’s solvent evaporates, leaving behind the reactive species on the substrate. The reactive species acts as a linking pin or bridge between an adhesive and the substrate Polyolefin primers are frequently used on hard-to-bond substrates joined with traditional and/or light curing cyanoacrylates. Paul, I have experience with bonding hard to bond polymers, it can be done successfully, but it is not trivial, as you have also experienced. This combined with the permanent nature of an adhesive, would also lead me to seek bolt alternatives, particularly for an R&D effort were you are going to have to dismantle, disassemble and reconfigure your setup from time to time. What about Vespel Bolts? Temperature resistant up to 288°C (350°F) continuous and 480°C (900°F) intermittent. They can also custom make ceramic bolts. I see another problem apart from the wall being too thin: wouldn't roughening the internal face of the small copper plate (in order for the glue to stick better) dramatically decrease its reflecting capacity, hence the Q factor of the cavity? The beauty of this copper cavity lays in its extreme versatility. It's not a superconducting cavity machined from one piece of expensive material. The small end plate is just that: a thin copper plate, with a diameter of a few inches, attached to the end of the body with bolts at rim. Although I think like you that bolts would be better than glue to attach the internal dielectric, I also think even Eagleworks could afford several end plates, and test them for comparison: one small plate without any dielectric at all, one with a dielectric bonded with some glue as you suggested, another one fixed with bolts of any type, etc. Do the screws to fix the dielectric inside the frustum go through the end PCB plate ? 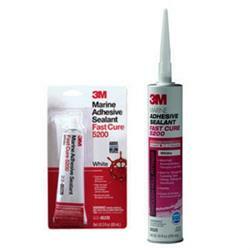 The marine adhesive made by 3M (5200 or 5220 fast cure) will stick to anything; even under water. I have used it on HDP. Most adhesives will just drop off once they have cured. One trick I learned for gauging the dissipation factor of a plastic is to put it in a microwave oven at high power for 10 minutes; or less. But I think the problem you are seeing is not from the dissipation factor of the plastic because your power level is relatively low. Try putting one of the nylon bolts in a microwave and see if it melts. What may be happening is the thin Copper coating is getting very hot and melting the nylon bolt. The radiation pattern from the loop antenna inside the cavity directs most of the rf power to the large end, irrespective of the mode. Assuming something similar hasn't been done already, it should be possible to test for photon emissions by shortening the nylon bolts and securing the outside ends with cap nuts. Amusingly enough, some of the LENR work is taking place at NASA -- in a very low-level, part-time-project fashion. The comparisons between developments in the two are quite striking -- mainstream skepticism, lack of a solid theoretical base, amazing claims by one-man-show inventors, and steady drip-feed of 'anomalous' results. Which of course, doesn't mean that either is real. Send me a private note with your name and address and I'll gladly send you a PE and PTFE disc to have them sputter copper coated on one flat side only in your lab. When returned we can then silver epoxy or even Pb/Sn solder the discs to a new set of 0.090" thick small OD copper end-caps we have sitting in the lab. And thanks much for the offer! Thanks for the recommendation and I'll give this 3M marine adhesive a try to see how it might work with difficult to bond plastics like PE and PTFE, hopefully without ALL the preparation outlined by Rodal. A recent publication [Phys. Rev. Lett. 92, 020404 (2004)PRLTAO0031-900710. 1103/PhysRevLett.92.020404] raises the possibility of momentum transfer from zero-point quantum fluctuations to matter, controlled by applied electric and magnetic fields. We present a Lorentz-invariant description using field-theoretical regularization techniques. We find no momentum transfer for homogeneous media, but predict a very small transfer for a Casimir-type geometry. An oldie but goodie. These are the older papers. Note the bold part. About half the time when I think this through, the darn thing thrusts backwards. .....it was producing less than half of what it did before and in the wrong direction!......Apparently not having the PE discs firmly mounted to the frustum's small OD end cap hindered the thrust producing mechanism that conveys the generated forces in the PE to the copper frustum. Paul, would you be willing to introduce a small gap between the copper and PE as a test? Like tighten down the Nylon bolts and wedge a wooden shim in there? The reason I'm saying all this is, if we're gonna call these things Quantum Vacuum thrusters, we need to treat it like a Casimir experiment, instead of a plasma thruster. IRT the new stuff I've been posting about PT symmetry, this is a nice plain english rundown of how it works from different people, saying the same thing as the other researchers. So there's a bunch of different types of nylon. Anyone know what kind of nylon those bolts might be made of? 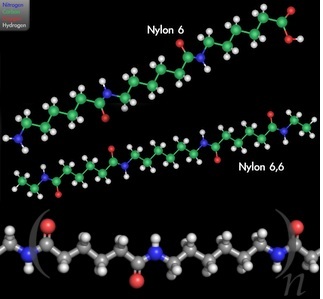 Wouldn't it be something if nylon was doing some of the thrusting the whole time. I feel really goofy right now holding a mirror up to the computer screen. Look at the Comsol plot of TM010 with PTFE at large end showing large thrust. Note the strong magnetic field in that region. Do I need to bring Colbert back again? As to the source of my nylon cap screws it is http://www.mcmaster.com/#nylon-cap-screws/=w0xvi2. As to what plastics vendor they use for their nylon supplier and what type of nylon is used in their cap-screws and bolts is TBD. PS: How big a gap are you thinking about between the PE and copper plate? Microns or mm...?? Just a few mm on one side, like what you get from a spudger tip. To be clear, the gap is intended to break the thrust. From what you're saying, it would break the thrust. It serves to provide a clear answer whether Casimir forces play any part in the thrust or not, or if the PT momentum transfer/anisotropic vacuum idea is enough. What I picture going on is that the Casimir forces at the PE/air/copper interface isn't the sole enabler of thrust, it is a major amplifying feature of the thrust. Let's say that there is a few mm gap between the PE and the copper all around. If that breaks the thrust, then it is clear Casimir forces are important. That would be a horrible waste of human talent and experience, somebody extremely difficult to replace, particularly after demonstrating that the EM Drive works in a hard vacuum, and given the better funded efforts in China, that the US should match or exceed. Those who think that the EM Drive technology is being pursued "under wraps" in the US appear to be misinformed and disconnected from Aerospace Companies Mgt and federally-funded R&D. 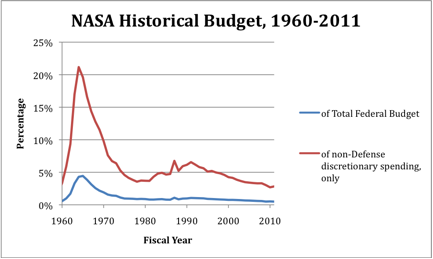 There is a shortfall of funds at NASA, and federally-funded R&D in general under present budget conditions. There is barely more than one month left until the end of March. People interested in the EM Drive: this shortfall of funds is real, and EM Drive R&D in the US is in clear and present danger.